Why finding harmony? How can you find harmony or have more peaceful relationships? I am a “Jill-of-most-media” writer: book author, columnist, editor, producer, script writer, websites, Facebook, Twitter—almost everything except novels, electronic games or apps. I have one husband, three daughters, two sons-in-law, four grandsons, a dog and a cat. And just so I stay busy, I’m also the editor of Valley Living (quarterly tabloid) for Media for Living, a smaller organization, at www.mediaforliving.org. My most recent book is Whatever Happened to Dinner: Recipes and Reflections for Family Mealtime, (with 100 recipes). Even though my children are grown, my husband and I (with our dog and a cat usually nearby) sit down for a meal together almost every night. So this blog also shares recipes, food adventures, and encouragement to keep family mealtime which at our house were not always harmonious, but that’s ok. 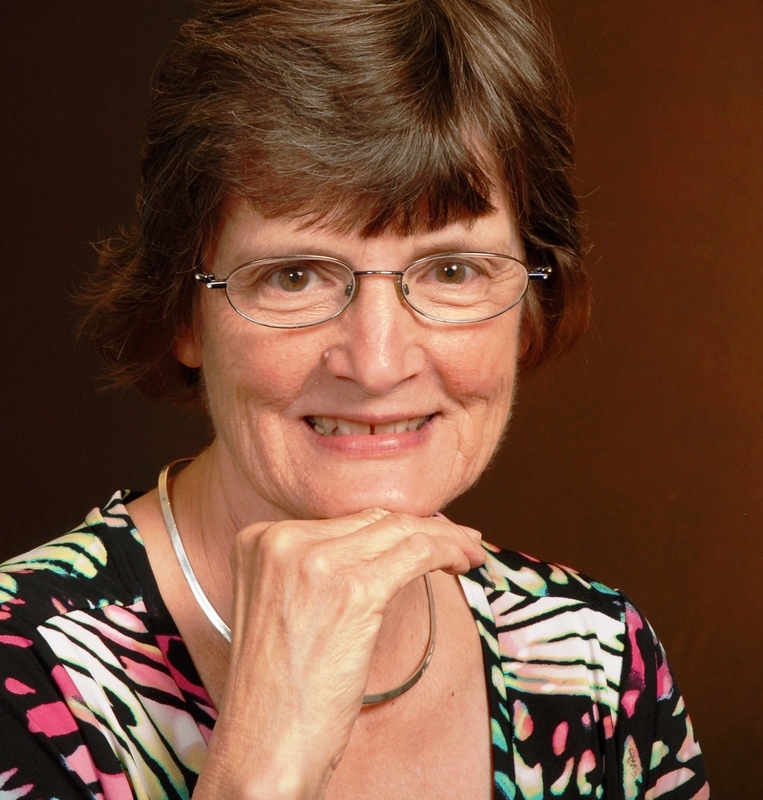 I have been writing the weekly Another Way syndicated newspaper column since 1987 through my primary occupation as a editor/writer for MennoMedia and Herald Press, and earlier, a writer/producer at Mennonite Media. The columns are posted here one week after they have gone out to newspaper users, listed here. As the name implies, I try to look at life and issues “another way,” whether it is in the realm of personal issues, family, work, church, community, nation, or world. As of Dec. 1, 2016, Another Way now resides here at Finding Harmony Blog under the Category “Another Way Columns.” Subscribing to this Finding Harmony blog now gets you a merry mix of both Another Way and Finding Harmony posts. Earlier Another Way subscribers will continue to get their Another Way email subscriptions through MailChimp. So how are the blog and newspaper column different? The blog is far more personal, often interacting with readers, and using many more photos. The audience of Another Way is newspaper readers who enjoy looking at daily topics we all encounter “another way.” To contact me in response to Another Way columns OR if you know a newspaper which might want to use the column, the email for Another Way is now anotherwaymedia@yahoo.com. Faith background. I’m a Presbyterian who was raised Mennonite who married a Lutheran (talk about finding harmony) and have worked for the Mennonite church ever since graduating from a Mennonite college after serving in a Mennonite VS program. I still help to curate content for Third Way website, with a boatload of information on Mennonites, Amish, and more. Our Presbyterian church is a peacemaking congregation made up of house churches or mission groups, engaged in mission on the pattern of Church of the Savior in Washington, D.C. So I’m a merry mix still trying to follow Jesus’ way for my life. That’s a little of where I’m coming from. Welcome. I have been a subscriber to Another Way for many years and have always enjoyed your writings. I have subscribed to your Blog site and will look forward to reading your messages there as well. Thanks for following and connecting in this way. I’ll be happy to hear your comments. Blessings to you. We are Clayton and Ruth Steiner. We met you at the International Guest House. We enjoyed meeting you and have always enjoyed your writings. Hi!! Good to hear from you, I remember you well (the video helps; we just used it at our church again the other week). Anyway, nice to meet up here too, thanks for your comments. Hope you are doing well and enjoying yet another phase of your retirement. Hi Melodies, years ago I edited a small publication in India called Encourager. You had graciously allowed us to use your articles. The magazine ran its course in 2003. You have always inspired me to write regularly, and it was about a decade later that I started a weekly blog barnabas.in focused on “Living Your Potential.” I just recently saw this blog and quickly subscribed to read what you’ve been writing these days. Thanks Melodies. Melodie, sorry for the wrong spelling on my comment. My computer just tries to help me too much. Please do correct before allowing it…better than that, I’ll write another. Hi Melodie, years ago I edited a small publication in India called Encourager. You had graciously allowed us to use your articles. The magazine ran its course in 2003. You have always inspired me to write regularly, and it was about a decade later that I started a weekly blog barnabas.in focused on “Living Your Potential.” I just recently saw this blog and quickly subscribed to read what you’ve been writing these days. Thanks Melodie. 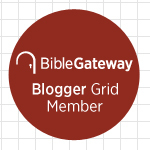 I’m writing to invite you to join the new Bible Gateway Blogger Grid (BG²). If you’d like details, email me. Thanks. I was working on more family history research today, and just came across your blog. Well, cousin, nice to meet you! One of my great, great grandfathers is Daniel P Miller ( brother of Moses). He is in the photo on the right side of the picture. I live in northern Indiana and have been excited to find many of my great x 2, 3, and 4…all in this Shipshewana area. I also tracked down Joseph (Moses and Daniel’s father’s) grave in a tiny church cemetery in Missouri. But we can’t find Anna Nancy, his wife, in Indiana. Sad, but true, some of the old stones are gone. I just retired so am happy to have free time to do this research. Thanks for sharing. You never know what we will learn each day. Love, love love finding my cousins here! I think I’ve heard that before about Anna Nancy. My daughter has enjoyed doing family research in her spare time. Thx for commenting! Janet, I’m a descendant of Daniel P. Miller. Actually, my great grandfather is Orie O. Miller. I’m working on my family genealogy and would appreciate any pictures that you might have. Which picture of Daniel P. Miller are you referencing? Please let me know how to get your blog. Go to the home page for the blog: https://findingharmonyblog.com/ and then scroll down the right hand side. There should be a place to enter your email and you will receive the posts every time I put them up, about once a week. It should be right under the long list of blogs I follow regularly. Let me know if you don’t see it. Or have someone help you (perhaps someone who knows their way around a computer really well and online. Thanks for finding this!